Show off for the ho-ho-holidays! 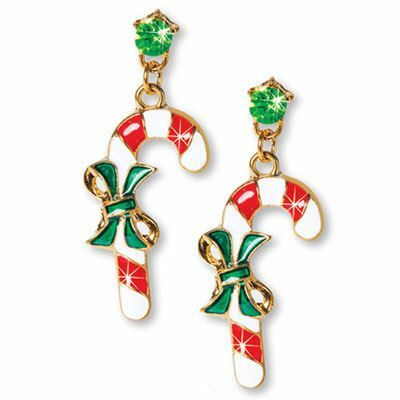 Radiant candy cane-shaped earrings are beautifully accented with a green bow and matching crystal stud at the top. Pierced backs. 2¾"l.